I interviewed Steven Farag from Campus Ink just before ISS Long Beach about hiring his first sales rep.
We talked about hiring your first sales rep because it comes up again and again in Facebook groups, at trade shows, and in screen printing and custom merchandise shops everywhere. 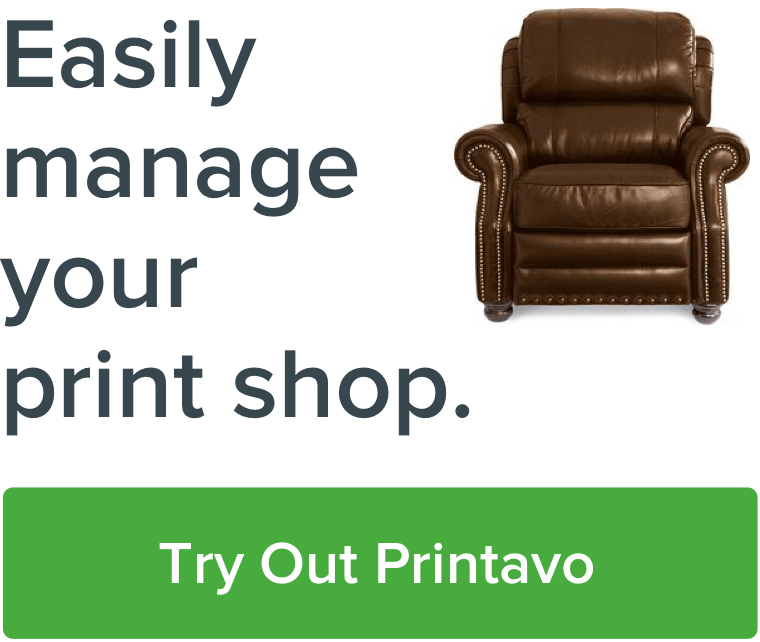 Why hire an outside sales rep for your screen printing shop? Once your business is established in your community, you have to do brand management to secure your reputation. The ideal first sales rep is someone that's interested in more than hard selling – they're willing to represent the shop and stay in close personal contact with customers. Hiring a dedicated sales rep shifts that responsibility and streamlines how sales operate. The owner can move from a dedicated brand representative to actually managing the business. The sales rep manages and nurtures relationships with customers. The first sales rep is the hardest one to hire. Don't worry about hiring the perfect person. You are ultimately investing in learning how to hire and manage people. How should you approach training your sales rep? Remember: sales are the first step in the production process. You want to train your sales rep to make the right sales, not just a lot of sales. Set aside a lot of time to create content for training your sales rep. It's imperative that new sale reps spend some time on the production floor to understand what's involved. An example: if you're selling 2-color vinyl numbers (a difficult process), you should have to print a hundred of them to see what it takes. It's essential that the sales rep knows what the shop is capable of and what's reasonable for your team. How should you pay your first sales rep? If you were interviewing for this position, what would you expect from a company? If you want your salespeople to be successful, you have to set them up for success. That means eliminating uncertainty about pay. Steven went over his first sales rep's salary collaboratively. He asked her what she needed to make by discussing her expenses. He built the target that he hoped she would hit on Year 1. He made it clear he intended to follow-through on his promises and offer a competitive salary so she can focus on developing her sales techniques. The salary should be roughly what an entry-level salesperson would make before commission. You'll have to research outside corporate sales salaries to see what sort of target you'll want to set. Be competitive and aim to retain your talent. Promotional product sales are the easiest and fastest way to compensate your sales reps and start them on their development process. Screen printing is simply harder to price and understand the margins for. The calculations for promotional products and custom merchandise are much more favorable and simpler to calculate – there is lower overhead for production and more certainty for your sales rep.
What should your sales rep do if you're a screen printer? Customer success revolves around creating positive associations with your brand through all stages of the customer interaction cycle. Turn current customers into great customers. This is a high-value activity that builds your brand and creates stronger relationships. The more often you interact and develop positive bonds, the more likely you are to convert a customer into an advocate. For a new sales rep, this is likely the highest-value task they can accomplish from day 1. From there, begin feeding them leads and new customers once they show that they understand their role in your process. Your customer success person can slowly become your first salesperson. Their job is initially to get reorders, become familiar with your current clients on a first-name basis, and build relationships throughout the community. How do you help them get leads? Build a model for success. Cold calling is no fun. But it might be best to start with the hard work and give them a model for how to deal with adversity. Then, give them opportunities to be present around business owners. Help them build their pitch and show them how you've had success in the past. Mentor the person until they understand the industry and your brand's relevance. This is where brand advocacy comes in: Steven introduced his new sales rep during the holidays. She brought customers and leads cookies. Right from their first interaction with his new sales rep, customers have a positive association and feel good about Campus Ink. The sales rep gets to have a great time. Everyone involved feels great. Those associations are the foundation of brand advocacy. From there, you need a CRM suite to work with – Steven really likes close.io. Steven uses Jotform connected to close.io through Zapier. New leads are manually added and meticulous notes are kept on each and every lead. Remember, the most basic high-level activity involved with sales is identifying the most relevant and important person that can close the sale. Teach your sales rep to identify leads and categorize them based on who's most relevant to completing the sale. Sales reps can bolster your brand, not just sales. This frees you up for executive tasks in your business. Sales are the first step of the production and manufacturing process, so train your salespeople about your capabilities – have them spend time on your floor. Screen printing is challenging to sell. Only someone with dedication and knowledge can sell screen printing well – so custom merchandise is a great place to start. Customer success is the key role of a new sales rep.
Lead through your actions and model great sales behavior. Got advice for hiring and training sales reps? Has your shop grown because of new salespeople? Was this helpful for you? We want to hear your story. Shoot us a message and let's talk shop!